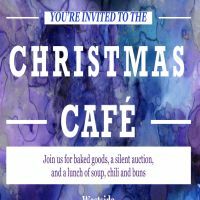 The Christmas Cafe is a craft and bake sale at Westside Fellowship. $5 for a homemade bowl of soup or chili. $2 for coffee/tea & a treat.